Is it possible to create miracles using the power of your intentions? 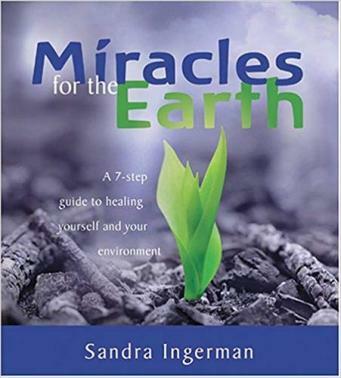 On Miracles for the Earth, Sandra Ingerman teaches a traditional seven-step process known as "shapeshifting" (or transfiguration) that has actually been demonstrated to purify water and soil in the physical environment. Combining shamanic principles for merging with your pure essence with the tools of modern science, this internationally respected shamanic practitioner demonstrates how to harness your spiritual power to generate changes in your own health, in your relationships, and in the natural surroundings where you live. Includes many guided visualizations, rituals, and chants. In this 2-CD package, the first CD includes a lecture on the Medicine for the Earth principles. The second CD contains guided visualizations, meditations and exercises to use as spiritual practices to bring the work into your life. Included in this CD is a guided visualization for transfiguration.